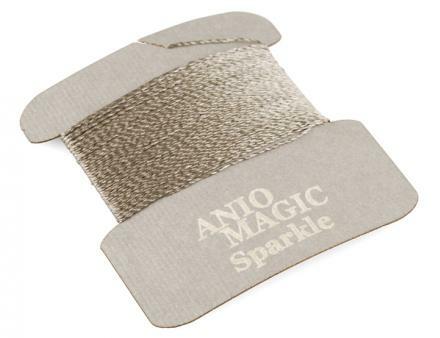 Sparkle is Aniomagic's avant-garde way to make interactive textiles, paper, ceramics, and environments. They've made it so easy to implement that anyone can create interactive works of art. Program it directly from a web browser by holding it in front of a computer screen or phone. Connect it with conductive thread, conductive paint, or regular wire. The only limit is your imagination. 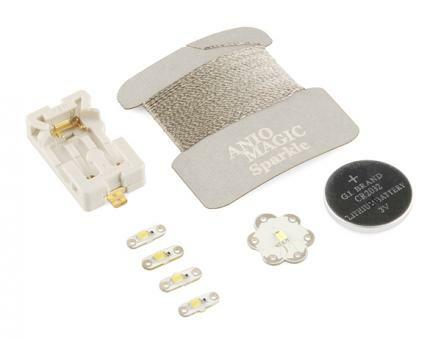 The Sparkle kit includes everything you need to add programmable flashing sequences of LEDs to your project. Simply sew the Sparkle board to your project and attach the included coin cell battery holder, sew your Lightboards in place with conductive thread and you're ready to program it. Alternate the LED directions (+ side up or down) so each turns on at different times and program the board using Aniomagic's online sequencer.